Sudoku (Japanese: ? 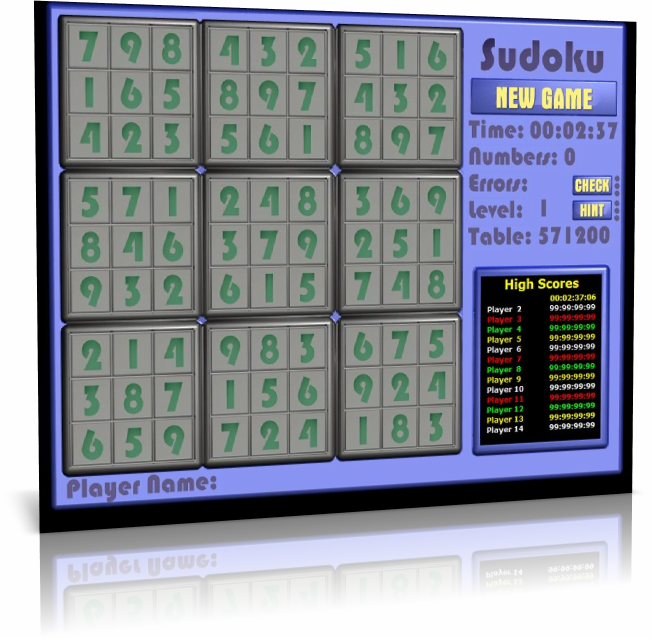 ?, sudoku) is a logic game in which the player is offered a grid of 9 x 9 cells, each of which can contain a number from 1 to 9 in random order, or be empty or white ; the grid should be considered divided into 9 “sub-grids”, called regions, of 3 x 3 contiguous cells. The aim of the game is to fill in the boxes with numbers from 1 to 9, so that each row, column and region contains all the digits from 1 to 9 (each only once, without repeating).